.......is incredibly versatile and may be used in a wide variety of roles - from a low cost entry point to 16mm filming by film students and amateurs right through to a professional tool used in the production of animation, documentary and drama for commercial markets. The H16 has been around since 1935 with models still being produced today in Switzerland by Bolex International SA, although these new cameras, lenses and accessories are expensive. Most H16 cameras, lenses and accessories that you are likely to come across will be second-hand. Most will still be able to produce decent images (mechanical breakdown and unskilled operation aside) but it’s a good idea to have cameras that have been left unused for years serviced or at least checked over. Prices, in the UK, for an H16 camera and some sort of lens may be from less than £100 (for an old non-reflex) to many thousands of pounds (for a current specification camera which may also be Super 16). The difference in price will be justified by factors such as the age and condition of the camera, the type of lens or lenses fitted or features such as the lens mount and the possibility of using magazines, motors, crystal control etc. You should get what you think you are paying for. However, you may be offered a camera (by a dealer or other seller) that is either overpriced or unsuitable for your needs. It is important for anyone wanting to buy an H16 to find out as much information as possible on the subject first - this is one of the reasons for creating this site. Before you actually start buying anything check out the information on this site including the links. 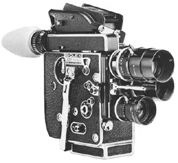 You can, of course, always e-mail me (Andrew Alden) with a general question about Bolex H16 cameras, lenses and accessories. I don’t sell film but 16mm film stock is readily available in a wide range of emulsions and types that are suitable for the Bolex H16 camera. 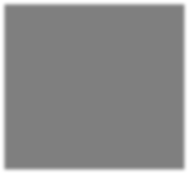 Kodak is the main supplier in the UK of colour and black & white film (both negative and reversal types) but you can also try the black & white products of the German Orwo company. Fuji has now phased out 16mm film. Suppliers and processors of 16mm film may be easily tracked down by doing a quick internet search - however if you fancy some home processing then check out no.w.here labs in London who run regular courses on the required skills but will also process for you at a very reasonable price.